These are similar to the blender pancake recipe I shared earlier, but make much better waffles :) Plus, I liked that she gave so many grain options so I can use whatever is on hand. 1. Place in blender; blend at highest speed for 3 minutes. The batter should always swirl about a vortex in the blender. If it doesn’t, slowly add more liquid until the hole reappears. This is the secret to light and tender waffles. Batter for pancakes may be thicker, but keep batter relatively thin and keep it churning. 2. Cover blender; let stand at room temperature overnight or 12-24 hours. 3. Pre-heat waffle iron at highest temperature, or griddle on medium high. 6. Pour batter onto hot waffle iron, sprayed with olive oil. Bake about 3 1/2 to 4 minutes in waffle iron until crispy. kamut, spelt, wheat - kamut is a favorite! Combining with kamut and oats is our favorite! buckwheat - reduce to 1 cup (4 servings). It expands. Quinoa - Thoroughly rinse quinoa in strainer the night before 1-2 minutes; let stand in bowl of water overnight; drain and rinse about 1 more minute. This removes bitter flavor. Batter will be very thin. Fill waffle iron almost completely to the edges. I use oats in combination with other grains. I use 1/2 cup (in recipe for 4) oats, and 1 cup kamut, or half and half in serving 2. Other additions - throw in some flax seeds! Make it like a white sauce. Melt butter in saucepan over med/high heat. Add cream cheese, cut in small pieces a little at a time. Add garlic, heat and stir until smooth. Slowly add cream and parmesan cheese, constantly stirring. Cook about five minutes. 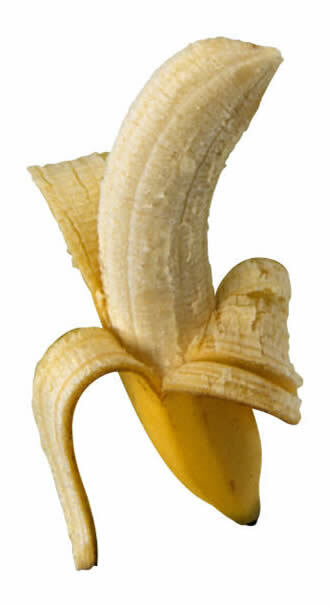 Peel bananas and cut in half crosswise. Insert a wooden stick into the flat end of each banana half. Lay bananas on a shallow pan (I used a small cookie sheet) and freeze for approximately three hours. Melt chocolate chips in the microwave or over hot water. With a spatula, quickly spread melted chocolate over banana, coating well. Then roll in sprinkles, crushed nuts, or rice cereal. Wrap each banana in foil and store in your freezer. Peel the bananas, cut in half crosswise, and dip them in the yogurt. Roll them in the toppings to coat. Freeze until firm. Serve when firm. Cut bananas in half and insert a wooden popsicle stick into the cut end of each half. Freeze until firm (about ten minutes). Combine cereal, chocolate chips and peanuts in a shallow bowl, mix well. Uncover frozen bananas and brush with corn syrup. Roll bananas in cereal mixture to cat. Loosely wrap each coated banana with plastic wrap. Store in freezer for about ten minutes or until serving time. Serve frozen. This post is part of Kelly's SUYL desserts! Melt butter on medium low heat. Add onions and saute. Mix all ingredients (except chicken) until sugar is melted. Then add chicken and let simmer until juices are absorbed in chicken. I love Macaroni Grill, but we hardly ever go there because my hubby doesn't really care for it. So I was pretty excited to find this recipe online! If my baby doesn't come this week, I'll try it and let you know if its as good as the restaurant! I would imagine that it would freeze pretty well, too. Directions: Once the chicken breast has been cooked thoroughly, allow it to cool to an internal temperature of 45 degrees F.
Dice the cooled chicken breast into 1/2-inch pieces and place into a large mixing bowl. Add spinach, tomatoes, ricotta, mozzarella, pepper and salt, and mix thoroughly. Arrange precooked pasta sheets on a cutting board and place two or three rounded tablespoons of filling mixture down the center of each pasta sheet and carefully roll pasta around filling in a cigar fashion. Place the rolled cannelloni, side by side, into an ovenproof shallow baking dish. Place Asiago sauce (or Alfredo sauce) and tomato sauce in bowl and mix until well incorporated. Pour sauce over cannelloni covering completely. Sprinkle grated Parmesan cheese over top of sauce. Cover with aluminum foil and bake at 350 degrees F for approximately 20 minutes. Remove foil and continue to bake for an additional 20 minutes, or until an internal temperature of 165 degrees F is reached. Remove from oven and serve family style or on individual plates garnished with fresh diced tomatoes, and basil or Italian parsley. Directions: Mix all ingredients and shake vigorously. Enjoy! I've been wanting to make my own salad dressing since we eat salads often and are utterly addicted to Ranch or Poppyseed dressings. So I was excited to find this basic oil blend that is super healthy and I can use it in any dressing recipe I find that I like. The basic proportion is to use 2/3 of this mixture to 1/3 of a type of vinegar (my favorite is apple cider vinegar :) I found this blend in THIS book. I a large bowl, mix flour with milk, water, and whey, cover and leave at room temp. overnight. In the morning add the remaining ingredients and more water, if needed, to make a pourable batter. Preheat oven to 350. Prepare two 9x13 baking pans with coconut oil and pour half the batter into each. Bake for 35-45 min, until a toothpick comes out clean. Remove from oven and lower temp. to 200. Allow cereal to cool and then crumble up onto baking sheets. Bake until completely dry and hard, about an hour (I found that it took several hours to get as crunchy as I wanted it :) To get a uniform size, process briefly in batches in a food processor. Store in airtight containers at room temp. Serve with your favorite crackers or apple slices. These are not the least bit healthy (ha, ha) but are always a hit at parties, especially with the fellows :) And they are easy! Directions: Cut each bacon strip in half widthwise. Wrap one piece of bacon around each sausage. Place in a foil-lined 15x10x1 inch baking pan. Sprinkle with brown sugar (or maple syrup). Bake, uncovered, @ 400 for 30-40 minutes til bacon is crisp and sausage is heated through. This post is a part of KK's SUYL breakfasts!